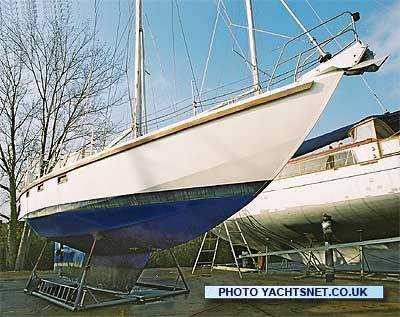 The Roberts 43 is an ocean-going cruising yacht, long-keeled, multi-chined, and usually built in steel. There are several variants of the design, Bruce Roberts having slightly altered the design several times. 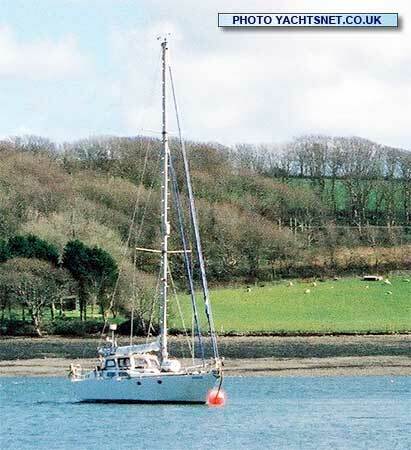 The Roberts 43 is a popular steel long-distance cruising yacht. She was designed by Bruce Roberts. Most are amateur-built, to varying standards of quality, and frequently with differences in internal layout. Of the two examples used in these pictures, one was amateur built, and the other by a professional steel fabrications company. Whilst the hull shape is generally similar between all Roberts 43s, there are very many variations in deck and coachroof layout, almost all builders incorporating their own ideas in the construction. 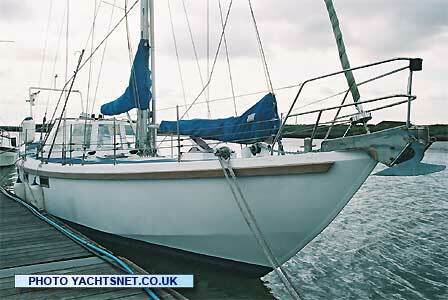 The Roberts 43 is a popular steel long-distance cruising yacht. She was designed by Bruce Roberts. Most are amateur-built, to varying standards of quality, and frequently with major differences in internal layout. Of the two examples used in these pictures, one was amateur built, and the other by a professional steel fabrications company. Whilst the hull shape is generally similar between all Roberts 43s, there are very many variations in deck and coachroof layout, almost all builders incorporating their own ideas in the construction. been built to earlier versions of the design.